It is used to provide background information about a business, organization, or service. Every company that interacts with the people has a corporate website. Large scale companies typically maintain a dedicated corporate site for all of their various brands and subsidiaries. We design websites that are trendy and professional. We build simple static website as well as dynamic websites with responsitive design. Today responsitive design has become mandatory to get the high ranking in Google Search engine. We use leading CMS frameworks like Wordpress to build websites with customized designs that satisfies your website needs. Mekbrand creates web sites that sell products, services, and promote brands. 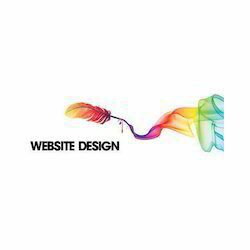 We see design as a nice package for the content of your web site. Our professional team will work with you to analyze your business needs and give you to develop the best solutions for your site.Corporate website design is directed towards customized website design that offered at competitive rates. Find out more about corporate website design.